Mr. Pang studied violin with Dr. Francis Chaplin. He also obtained a number of string and graduate school scholarships. When Mr. Pang studied orchestral conducting, he learned the Saito Conducting Method with Mr. Derrick Inouye. Mr. Pang also studied with Pierre Hetu and Dominique Rouits and in the symposium with Sir Georg Solti and Chicago Symphony Orchestra. Karl Pang was one of the principal conductors of the Hong Kong Music Lover Orchestra, music director and principal conductor of the Chinese University of Hong Kong symphony orchestra, and was the concertmaster of the Chinese Music Society of North America Orchestra for eight years. He was also guest conductor of many orchestras such as the Hong Kong Chinese Youth Orchestra, Yao Yue Chinese Orchestra, Saint Paul Boys Symphony Orchestra, the Symphony Orchestra of the Hong Kong Music School and the Singapore Ga Hong Chinese Orchestra. Mr. Pang always conducts various music ensembles including symphony orchestra, string orchestra, band, jazz ensemble, percussion ensemble, choir and musical. Mr. Pang also toured with the Hong Kong Music Lover Orchestra and the Macau Chinese Orchestra to many places in the world, including China, Taiwan, Singapore, Malaysia and Portugal. While living in Hong Kong, Mr. Pang was also a columnist for a music magazine, High Fidelity and Music. He also made an award winning compact disc, Fishermen’s Song of The East China Sea, with acclaimed sound engineer, Leo Fung. He has been the appointed Music Director and Chief Conductor of the TCO since 2007. Mr. Pang also adjudicates in music festivals around the GTA areas. He is currently a member of the Ontario Music Educators’ Association, the Canadian Music Educators Association and the Conductors’ Guild in the United States. As a conductor who has worked with all professional Chinese orchestras in Beijing, Shanghai, Taiwan, Singapore and Hong Kong, Yan has won the acclaim of the music circles in China and abroad for his artistic and conducting talents. Under his baton, and in collaboration with the famous composer Zhao Jiping, the Symphony Orchestra section of the China National Symphony Orchestra made the soundtrack recordings for such award-winning films as Raise the Red Lantern, Ballad of the Yellow River, and Five Girls and a Rope. Yan was awarded the “Cultural Medallion (Music)” by the National Arts Council of Singapore in September 2001. Since 2004, he has been a Visiting Professor in many music conservatories. Yan was awarded a Bronze Bauhinia Star (BBS) by the Chief Executive of HKSAR in 2004 in recognition of his remarkable achievements in Chinese music as well as his efforts in promoting Chinese music. Mr. Lai Hon-ming began Chinese music activities as a youth. He studied erhu performance with Yim Koon-fat and Tong Leung-tak. In 1979, he toured with the Hong Kong Youth Chinese Orchestra to England and France, where he was recognized for his excellent performance and selected as an outstanding member. From 1981 to 1995, he was the President of the Hong Kong Music Lover Chinese Orchestra. During this period, he took the orchestra on a series of tours to Macau, Singapore, Taiwan, and Mainland China. In 1988, the orchestra represented Hong Kong at the first Asian Festival in Miami, USA. In recent years, he was active in initiating cultural exchanges between mainland China and Hong Kong. In 2004, he organized a charity performance of “Yellow River Cantata” by the Hong Kong Music Lover Chinese Orchestra, Tianjin Symphony Orchestra, and over 600 voices. In 2006, Hong Kong Music Lover Chinese Orchestra and the Tianjin Folk Orchestra held successful, fundraising performances for education. In 2005, he was the Founding Chairman of the Hong Kong Chinese Orchestral Association, which includes the Hong Kong Chinese Orchestra and more than forty Hong Kong Chinese music organizations. Co-organized with the Hong Kong Chinese Orchestra, the association launched the “2008 Hong Kong International Festival of Chinese Orchestras”, successfully bringing together more than fifty orchestras locally and abroad. Yuen Hon-wah (1927-2009) is a Hong Kong veteran conductor, composer and music critic. After graduating from the Chinese Conservatory of Music in Hong Kong, he studied composition with Fan Xixian. In 1958, he was appointed conductor of South China Film Industry Workers Union Chinese Orchestra. At that time, he arranged the violin concerto “Butterfly Lover” for gaohu and Chinese orchestra. It was premiered in 1963 at the Hong Kong City Hall Concert Hall. From 1965 to 1982, he was the conductor and composer for the Chinese orchestra associated with the Hong Kong Chinese Clerical Staff Association. Besides arranging traditional music, he also performed his own compositions. In 1968, he accompanied the performance of his five act opera ‘Rent Collection Courtyard” over 30 times. This was the first opera in Hong Kong that was performed in Cantonese. For newspapers, he wrote music reviews and introduced new recordings under several pseudonyms. He has served as the conductor of the Hong Kong Senior Education Workers’ Chorus. Discussing the Genre of Mongolian Han Tunes. Art of Music. 2005.4. Analysis of the style of Mongolian Han Tunes. Journal of Wuhan Conservatory of Music. 2006.2. Success Story of the 12 Girls Band from the Angle of Music Communication. Journal of Zhejiang Professional College of Arts. 2006.3. Programmed Music and Construction Space: Voice from the American Shopping Mall. Symphony. 2006. A Thought about the School Classification for Pipa. People’s Music. 2008. The Development of Chinese Pipa Schools. The 39th international council for traditional Music. Vienna. Austria. July 4. 2007. Comparison Study of the Development for Pipa in China and Japan. The 7 th International Council for Chinese and Japanese Music. Wuhan, China. September 9. 2007. Editor for “The Sounds and Music in Animation”. Jiangsu Science and Technology Publishing House, 2010.3. Associate Editor for “99 Classic Songs of Pipa”. Shanghai Music Publishing House. 2010.8. Associate Editor for “99 Popular Songs of Pipa”. Shanghai Music Publishing House. 2010.8. Associate Editor for “College Music Appreciation”. Shanghai Conservatory of Music Publishing House. 2011.6. Hailed as one of the most exciting, innovative and respected erhu masters today, the Gemini Award nominated erhu master George Gao began studying the erhu at the age of six, a few years later, he won First Prize at the Shanghai Junior Instrumental Soloist Competition and a Silver Medal at the China National Junior Instrumental Soloist Contest in 1982. In 1985, he swept the three highest prizes of the Beijing China National Invitational erhu Competition. In 1999, He won a Recognition Award for his appearance at the 13th World Festival for Young Students in Pyongyang, North Korea. George Gao studied at the Shanghai Conservatory of Music and the Royal Conservatory of Music in Toronto. After winning the first prize in the Beijing National Erhu Competition, George Gao launched on a truly international performing career. He toured the US, Canada, France, Germany, Denmark, Japan, Taiwan, Hong Kong and China extensively and featured as a soloist with the Toronto Symphony Orchestra, Bamberg Symphony Orchestra, Aalborg Symphony Orchestra, Shanghai Symphony Orchestra, Hong Kong Chinese Orchestra, Taiwan National Chinese Orchestra, National Arts Center Symphony Orchestra, Winnipeg Symphony Orchestra, Edmonton Symphony Orchestra and I Musici etc. George Gao has also performed many recitals, including appearances at the Glenn Gould Studio, the Royal Conservatory of Music (Toronto), City Hall Concert Hall (Hong Kong), and the National Concert Hall (Taipei). Billions of people around the world have watched him on CCTV, China’s most watched TV station. George Gao is a hot session player, his erhu performance is frequently recorded by many world renowned composers, film, record producers. George is featured in the soundtrack for the popular science fiction television program Earth: Final Conflict, which has been nominated for an Emmy Award for Outstanding Main Title Theme Music. George is also featured in the soundtrack for the short documentary film The Blood Of Yingzhou District, which won the Oscar for Documentary Short Subject in 2007. An enthusiast of many musical styles, George organized the Beijing rock band Red Maple Leaf and the pop group Snowman. In Toronto, he collaborated with many world music artists including Jesse Cook, Donald Quan, Ron Korb and joined many world music ensembles such as Bowfire, Silk Orchestra, George Gao Ensemble and Memento. He has pioneered the development of new music for the erhu, fusing traditional Chinese music with jazz, Western Classical music, New Age, and other ethnic music from different world cultures. As a composer, George Gao has composed music for many films and documentaries. He co-composed with Brian Keane for Bill Moyer’s Productions/Lenon Documentary 3 part documentary film Becoming American, the Chinese Experience. He is also a songwriter who has a few hit songs in China. He has written many erhu works including Capriccio for Erhu, which was designated as compulsory work for the final round of the 2002 International Dragon Cup Erhu Competition and Erhu Capriccio No. 2 – Mongolian Fantasy, which was designated as compulsory work for the final round of the 2008 Shanghai Spring Festival International Erhu Competition. As a guest professor of many post secondary institutions, George Gao frequently gives music master classes in prestiges music schools such as Shanghai Conservatory. graduated from Central Academy of Music in 1990. He joined the Hong Kong Chinese Orchestra in December 1999 as Suona Principal. In 1993, his invention of a “removable reed”, which enables the playing of semitones on the suona and expands its range for expressiveness, won for him a Class Two Award for Technological Advancement by the Ministry of Culture. In 1998, Guo went to New York to participate in the International Pro Musicis Awards. Since 1991, he has performed in international music festivals in Germany, Holland, Denmark, France, Singapore, Hong Kong, Macao and China, and has given solo recitals in New York, Boston and Los Angeles. Fan Shang-E, a world renowned virtuoso performer and prolific composer of zheng music, was born in Shanghai, China. Early on, Ms. Fan studied under various foremost zheng masters, including: Mr. Wang Xun-Zhi, Mr. Cao Zheng and Mr. Guo Ying. Under their guidance she quickly mastered the various styles and techniques associated with Zhejiang, Henan and Shandong. Madam Fan has since built upon this knowledge by developing her own style in zheng performance. Madam Fan graduated with distinction from the Shanghai Conservatory of Music in 1966 and started her career in performance with the China Film Philharmonic. She performed extensively in many countries including China, Japan, Switzerland, Norway, Sweden, Spain, the former Soviet Union, Canada and the United States. In very little time, she was quickly recognized as a pre-eminent zheng performer. In 1981 and 1987, Madam Fan participated in the Asian Composer Conference and Music Festival in Hong Kong as an honoured and special guest performer and speaker. During 1990 to 1992, she was a visiting scholar of North Eastern Illinois University. During her stay in the United States, she held numerous recitals. From 1992, and to this day, Madam Fan has been the focus of numerous zheng concerts in Toronto. In 1996, she gave an impressive performance at the Taipei Festival in Taiwan. In December 2000, the National Arts Council of Singapore invited her to be the main judge of the National Chinese Music Competition. In 2004, she was invited by the Zheng Association in South Korea to perform with their Orchestra. She is currently also scheduled to perform in Hong Kong in March of 2006. Everywhere she goes, Madam Fan is highly praised by the audience for her skillful and outstanding performances. Besides being a very successful performer, Madam Fan is an enthusiastic educator. Since she immigrated to Canada in July 1992, she has established the Fan Shang-E Zheng School. She has taught hundreds of students scattered around the world. Many of them have participated in national and international music competitions and won distinctive awards. Although Madam Fan accomplishments in zheng music have reached quite a lofty level, she never turns down beginners eager to learn from her. Anyone who has been taught by Madam Fan can tell you that she has a great deal of patience in her teaching, and is extremely devoted to zheng music. 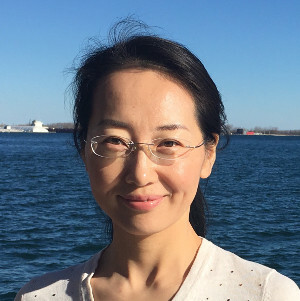 Madam Fan is currently a director of the Beijing Zheng Research Institute, an honorary director of the Shanghai Zheng Research Institute, an associate professor at the Central Conservatory of Music in China and Principal of the Fan Shang-E Zheng Music School in Toronto. Madam Fan has recorded numerous CD’s, which include many of her famous compositions. The list includes renowned songs such as Ripples In The Silver River, Snow Capped Mountain in the Spring Morning, and Blue Ripples. These pieces have been listed in the official examination repertoire for zheng music in both Beijing and Shanghai. Wen Zhao must be Jimi Hendrix of the Chinese Pipa” ( WholeNote magazine, Toronto). Zhao is an internationally acclaimed pipa virtuoso. She teaches pipa at both the Royal Conservatory of Music and York University in Toronto. She is especially honored to be the only one featured Chinese musician for the CBC award-winning documentary film The Four Seasons Mosaic. In recent years, Zhao has collaborated with some world’s top Western orchestras, and played Canada premieres, including the Four Seasons concert with Tafelmusik Baroque Orchestra; Tan Dun’s Ghost Opera with Accordes String Quartet; Marco Polo concert and the Lute Festival with the Toronto Consort; the education concerts with the Toronto Symphony; the Lute recital at the Montreal Baroque Festival and the Music Garden. She has toured at major ethnic music festivals worldwide; including 2007 China, Canada, the U.S, Switzerland, the U.K and Ireland. These appearances deeply impressed the audience and were highly acclaimed by the media: BBC, CBC, OMNI TV have all broadcasted her solo performances. The Toronto Star, Globe Mail and several Chinese media groups have interviewed her to showcase her masterful pipa playing. 1998年她的獨奏專輯由“ARC Music International” 出版，面向全球發行。許多國際音像公司 （如，Virgin Records, Tower Records, WHSmith 等）至今都有銷售她的CD. Born to parents who are both science professors at Tsingh ua University, Xiaoyun wanted to learn something that her parents did not have much control – music. She started to learn the pipa (Chinese pear-shaped lute) at an early age with Wang Fandi – a renowned pipa master and her neighbour at that time. In 1978, she won fierce competition to enter China’s top music institution – Central Music Conservatory in Beijing. While continuing to study the pipa with prof Fang Fandi, she switched her major to the Ruan (a series of round-shaped Chinese Lutes that include Zhong-ruan and Da-ruan). In 1982, upon graduation, she became the first ever full-time conservatory teacher of the Ruan in the entire country. In 1986, she and her high profile ensemble group were invited to perform in the Philippines on an inter-governmental cultural exchange program in which the First Lady of that country was one of their hosts. In 1987, she, together with her group from the Conservatory, won the top prize in the 1st nationwide Jiangnan Sizhu (Chinese folk ensemble) Competition held in Shanghai. During the 13 years as a Ruan teacher at the Conservatory, she taught numerous students who have now formed the backbone of China’s Ruan players in many major provincial and federal music troupes- some won top prizes in national music competitions. Her students have become principal Ruan players in Chinese orchestras in Taiwan, Hongkong, and Singapore. In 1995 she moved to England. During her fours years of staying in London, she toured the UK as well Europe extensively at some of the major venues: including Cultural Bridge Arts Festival (Holland), Jersey World Music Festival, Guernsey Music Festival, Three Choirs Festival, International Cimbal Festival in Czech, Herley Festival, Switzerland’s Cultural Festival, and regular at the prestigious South Bank Centre in London. In 1998, the then prime minister Tony Blair was among her audience in Darlington, England. In 1999 she worked with renowned Switzerland composer/harpist Andreas in recording a well-received album of New Age music. In 1998, her solo album “The Arts of the Chinese Lutes” featuring her solo performances of 3 types of Chinese lutes -the Zhong-ruan, Da-ruan, and Pipa was produced by the leading producer of World Music – ARC Music International, and distributed world wide. Major CD stores such as Virgin Records, Tower Records, WHSmith have carried her album for many years up to the present day. She immigrated to Canada in 1999 and is continuing her music career as a performing musician and teacher. Pingxin started to play the dulcimer at the age of 6. In September 1974, he emerged victorious from fierce competition to enter the prestigious Central Conservatory of Music, and became the only dulcimer student taken in that academic year nationwide. Upon graduation from Central Conservatory of Music in 1979, he continued with his first degree program in dulcimer performance. He graduated in 1983 with a Bachelor of Music, and the Conservatory kept him as a teacher. In 1985 he became one of the first persons to be a Master Degree student of the dulcimer in the entire country of China. On graduation in 1987, he became a full-time dulcimer teacher at the Conservatory. In 1993 he was promoted to be an Associated Professor – the youngest one with such a title in the entire institution with over 300 faculty/staff members in that year. He had performed in many parts of China. Upon invitation in 1980, as a member of an elite group of musicians, he performed in the International Youth Arts Festival in Hong Kong. The following year (1981), he was one of the 3 musicians to be invited to West Germany for a concert tour. These were the relatively early and rare experiences of China’s renewed cultural contact with the outside world after the Cultural Revolution (1966- 76). His solo as well as ensemble performances were well received by the media of Hong Kong and West Germany. In 1988, Gyorgy Ranky, considered the most accomplished Hungarian composer after Kodaly, on his visit to Beijing, was deeply moved by Pingxin Xu’s performance that he arranged a Hungarian dance number for Pingxin Xu with words: “Dedicated to Pingxin, with admiration and friendship”. In 1993, he moved to England and almost immediately became a popular musician there with invitations coming in great number from major concert halls which included the renowned South Bank Centre, Barbican Centre, Queen’s Theatre (London), Royal Exchange Theatre (Manchester), Repertory Theatre (Birmingham). In January 1995, he gave a solo recital at the prestigious Percell Room in London to a full house of enthusiastic audience that gave him long standing ovations. He performed for some of the highest ranked music festivals in Britain, including King’s Lynn, Brighton, Three Choirs, Shepperton, Henley, Edinburgh, and the Llangollen International Music Estedfod in Wales (1995. He was one of the only 3 featured solo acts invited – one of the other two performers was the legendary Luciano Pavarotti). In 1993 he represented China to perform at the World Dulcimer Congress held in Hungary, and in 1995, he was the only Chinese Dulcimer player invited to perform for the International Dulcimer Festival in Munich, Germany, again at the International Dulcimer Festival in Switzerland, and in Czech Republic subsequently. From the mid-1990s, he has become a real international performer, introducing his Chinese dulcimer to hundreds of thousands of amazed audiences from all over the world. Currently Principal Percussion of the Hong Kong Sinfonietta, Chau Chin-tung graduated from the Hong Kong Academy for Performing Arts, where he studied Chinese percussion under Mr. Ho Man-chun and Mr. Yim Hok-man; and Western Percussion under Dr. Lung Heung-wing and Mr. Shaun Tilburg. During his career, Chau has been invited to perform in various types of cultural performances in Hong Kong, including Zuni Icosahedron’s The Magic Flute in 1998 and One Hundred Years of Solitude Version 9.0. in 2002, Hong Kong Dance Company’s The Yellow River & The Yellow Earth in 2000, Hong Kong Chinese Orchestra’s Majestic Drums series from 2004 to 2007. In 1999, Chau was commissioned by the Hong Kong Arts Festival to compose a new work, Boombastic Verses, The Music of the Dragons Concert in celebration of the 5th Anniversary of the Hong Kong SAR in 2002, for which he also performed. Chau Chin-tung has been invited to perform at many international cultural events, including a guest performer at the 2001 Cannes Film Festival, and soloist with Hong Kong Sinfonietta at the 2004 France XXeme Festival. Apart from giving performances of a wide variety, Chau is also dedicated to the promotion of music education in Hong Kong. It has given many educational concerts in schools, lectures and workshops at Royal College of Music, London, the University of Hong Kong, the Hong Kong University of Science and Technology, and City University of Hong Kong. He was a judge at Hong Kong Drum Festival and Macao Young Musicians Competition. He is currently an endorser of the “Sabian Cymbal”.